The AA. present two cases of malignant gliomas verified after short. latent period from radiation therapy for a low grade astrocytoma located in the controlateral hemisphere. Because these lesions did not meet the criteria for defining a neoplasm as radiation induced and for the common glial origin of both tumors, a multicentric origin was considered. 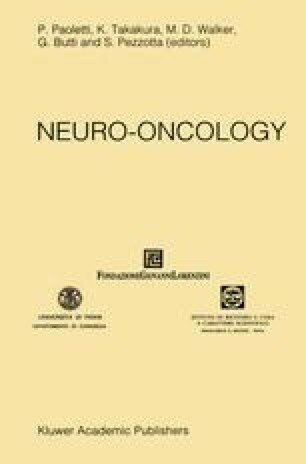 The role of the radiation could be the acceleration of the natural malignant degeneration of the multicentric gliomas.